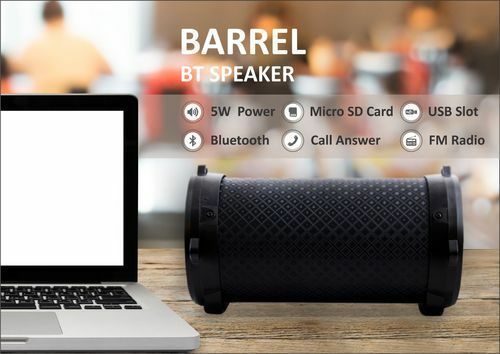 Providing you the best range of smart led speaker, wooden photo frame speaker, flexible desk lamp speaker, selfie stick with speaker and barrel speaker with effective & timely delivery. 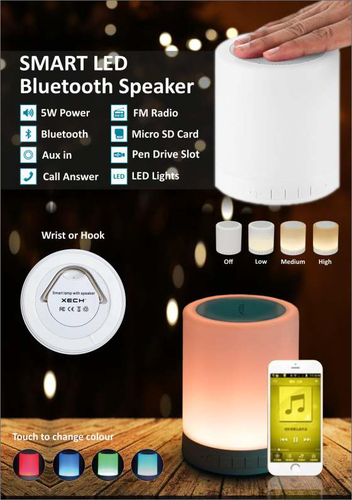 All-in-1 design, it can be a wireless speaker, a table lamp, or a music player, with this well-designed, multifunctional device, makes it a ideal gift to give for Birthday. There are varied gifting options today, Wooden Photo Frame With Speaker stands out from all. It may make your jaw drop after listening to the quality of sound it serves with a photo frame and also it is a mobile holder, now you can watch your movies, Netflix etc without holding your phone in your hand. Your all-in-one speaker solution, the Go streams music via Bluetooth from smart phones and tablets, powered by a rechargeable battery with up to 5 hours of playtime. 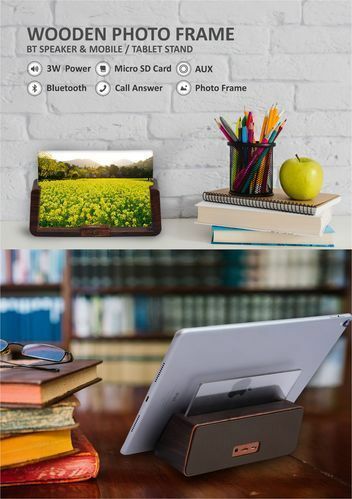 It is also equipped with a convenient mobile stand and photo frame, allowing you to any movies and keep your loved ones pictures always close by. The Elegant desk lamp is designed to deliver high bright LED light which is flicker-free, anti-glare, and perfect for reading and with 3 level brightness adjustments, Level One is 20% brightness; Level Two is 30% brightness; Level 3 is 50% brightness. lexible neck design helps you easily adjust the position of the table lamp with and gather more light on a specific area. Made from high quality ABS material is lightweight, safe and has a longer life span. 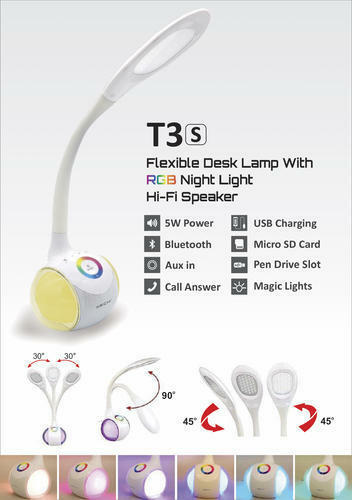 The unique 256 colour mood lighting design with speaker adds a sense of style and looks elegant on any table desk. Delivers loud and impactful sound with its efficient drivers. It can play up to 6 hours of non-stop music due to a built-in re-chargeable battery. There is a 5V/1A micro-USB port for charging the same. You need to plug in the device to power source always to enjoy hassle free music with desk lamp. 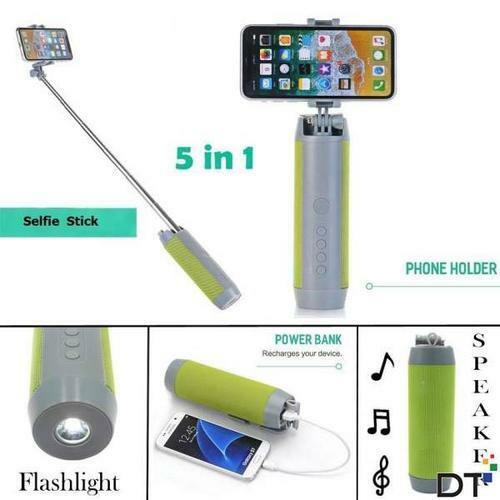 You can also charge your mobile phone as well as connect your USB flash drive to listen to music. Easy to be used, adjusted by the touch switch and retains the last brightness. Touch once shortly to turn on/off the lamp. Long-time touch to turn up/down the brightness. Further, the smart LED lamp offers a 256 color mood light option with your finger tips on its color circle. When it comes to corporate gifts for doctors, senior management or board members is another worthy contender for one of the best desktop gifts you can think of. This Bluetooth enabled device made out of ABS has a rotatable and flexible neck that can be set to any angle and that is indeed a big help. The ergonomic keys enable you to handle calls and the power. However, the stand out feature remains the very colorful night light settings that can bathe the room in wonderful color hues that is refreshing. Use the build in power bank to recharge your phone. You can use its 2000 mAh power bank to charge your mobile devices with 2A power output.